To some people the age of 33 may seem like dinosaur years in the tennis world. But good luck explaining that to Roger Federer. Federer is 33-years of age and he isn’t showing any signs of slowing down. The Association of Tennis Professionals season is two months old and Federer has two tournament wins to his credit. In January, Federer defeated Canadian Milos Raonic in three sets. Last week Federer met longtime rival Novak Djokovic in the finals of the Dubai Tennis Championships where he got past the Serbian in straight sets. Federer hasn’t won a Grand Slam event since 2012 when he won Wimbledon, but he is still in the conversation as one of the best male tennis player on the court as he currently ranked as the second best tennis player in the world. After a tough 2013, Federer began to make adjustments to his game as some skeptics felt that his best days as a tennis player were in the rear view mirror. 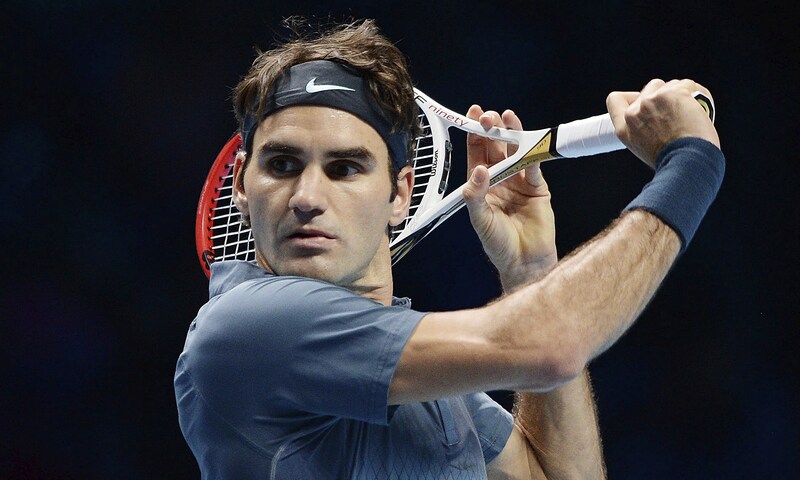 First, Federer switched to a new tennis racket which has greatly improved his game. Second, as an older and wiser tennis player, Federer has learned to become more craftier and he has been using all of the tricks in his arsenal. Where some of the younger tennis players may attempt to win with power, Federer is going about things with finesse. Federer’s drop shot and slices are legendary as when he is on with them it is the equivalent of watching Baseball Hall of Fame pitcher Greg Maddux toy with opponent’s at home plate during his Major League Baseball career. The revival for Federer began last March when he reached finals of the BNP Paribas Open in Indian Wells, California. There Federer would face Djokovic who was expected to cruise to an easy victory. Federer won the first set that day 6-3 and made Djokovic work for the hard earned victory. And even in defeat the fans in attendance and Djokovic alike had gained some more respect for Federer’s grit as they saluted him. Djokovic and Federer would meet last summer in the finals at Wimbledon. And just like it was at Indian Wells, Federer made Djokovic work for every point as he took him to five sets before bowing out at the All England Club. Last summer in the quarterfinals of the U.S. Open, Federer would lose the first two sets of his match against Gael Monfils of France. And just when things seemed bleak, Federer rallied to win the next three sets to the cheers of the fans in New York City. But unfortunately for Federer, the five set victory over Monfils took everything out of him as he didn’t have anything left and he fell to the eventual U.S. Open winner Marin Cilic in the semis in straight sets. After his run at the U.S. Open, Federer would win the Shanghai Masters last fall before reaching the finals of the Barclays ATP World Finals before an injury forced him to withdraw from another meeting with Djokovic. To top it all off in 2014, Federer helped Switzerland win the Davis Cup. And just when some people thought the 2014 would be Federer’s last day in the sun, they were thoroughly mistaken as he has gotten off to a good start here in 2015. There was a time when some people thought that Federer was winning too much. In 2004, 2006, and 2007, the French Open was the only Grand Slam event that Federer didn’t win. Federer won five consecutive U.S. Open’s and at Wimbledon along with claiming three consecutive Austrailian Open Titles. Federer would finally win the French Open in 2009 joining an elite list of male tennis players to win each Grand Slam event. It appeared to be too easy for Federer, but now in the next stage of his career he has become more of a fan favorite due to the fact that he is now somewhat of an underdog. With Djokovic, Rafael Nadal, and Andy Murray currently in the prime of their respective careers and youngsters such as Cilic and Raonic looking to make a name for themselves, things are tougher for Federer. It is the classic example of the young lions attempting to knock of the old lion. But in this case the old lion (Federer) isn’t still fighting off the pack. There is still plenty of exciting tennis action on tap this year and I don’t see the native of Switzerland in Federer getting lost in the shuffle.